Available now for move in within 30 days12 month lease onlyBeautifully renovated 1925 Bungalow home on corner lot with detached garage located in Historic Old Northeast.Large front porch invites you inside to the living area that is open to the dining room and features a decorative fireplace and built in bookshelves.The kitchen features granite countertops, tile back splash, and brand new stainless steel appliances.3 bedrooms and 2 updated full baths.Master suite was added and has carpet - opens onto a large deck .Brand new A/C! Updated electrical.Crown molding, plantation shutters, and hardwood floors through out most of the home.The backyard is fully fenced with large deck off master bedroom. 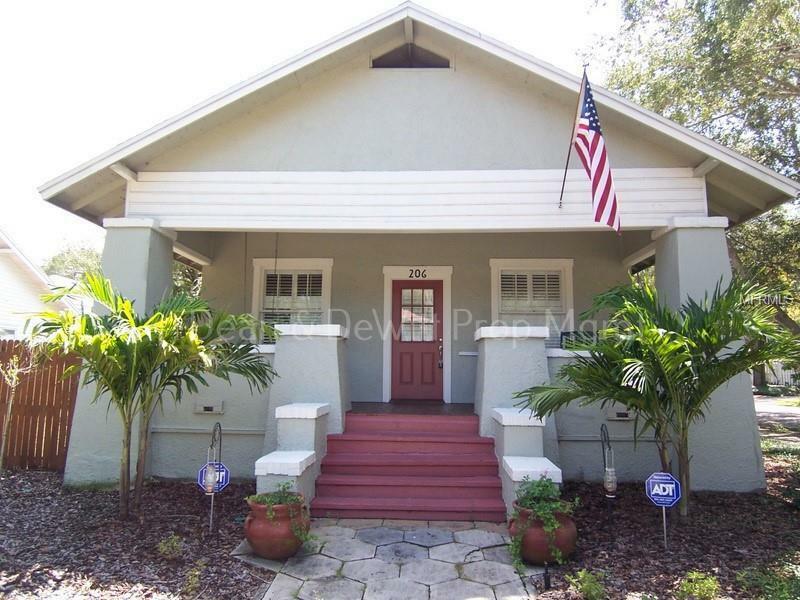 There's also a screened back porch and patio area which are great for entertaining and includes a small water feature with fish.The one car garage has loads of storage space and parking pad.Situated on a corner lot which provides extra parking.Close to downtown restaurants, museums, and waterfront parks. 10 miles to St. Pete Beach.Absolutely no pets consideredLawn care included!$50 non-refundable application fee for each adult covers credit and background check $100 administrative fee will be charged upon approval. The unit will not be reserved for applicant until administrative fee is received by management. Once paid, management will process tenant, create lease, send move in instructions, etc. Pet Restrictions Pets Considered On Case By Case Basis With Additional Deposit (May Vary) And Monthly Fees. Listing provided courtesy of Dean & Dewitt Properties.